"Before Donald Trump became president, Adrienne Bell, an elementary school teacher in east Texas, had never considered running for a higher office than her city council seat. Now, the self-described progressive is challenging the district’s Republican congressman, Rep. Randy Weber, in the 2018 midterms, marking her first foray into national politics." 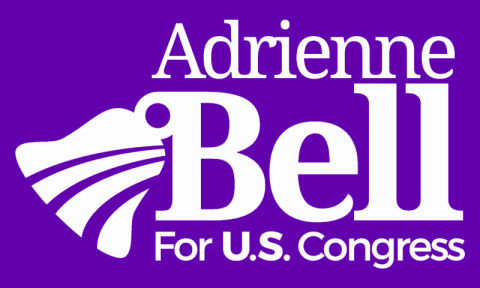 "Texas Democrats have a chance to make history this November by electing seven African American Democrats to serve in the United States House of Representatives: Adrienne Bell of Houston (CD-14) ..."
" ...Adrienne Bell, a native Houstonian and second grade teacher with HISD. A veteran organizer, Bell served as a Deputy Field Director with Battleground Texas, and on the Houston staff for the Obama 2012 election campaign."